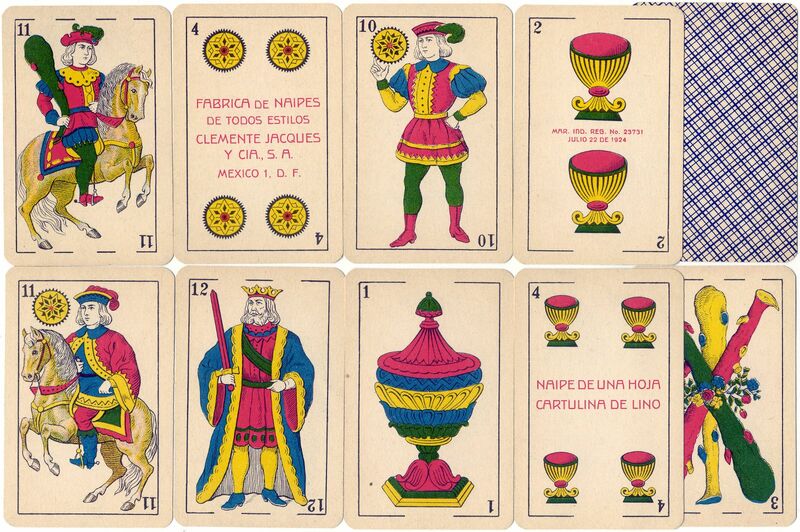 Spanish suited playing cards made in Mexico by Clemente Jacques y Cia and by Pasatiempos Gallo S.A.
First published in c.1910 by Clemente Jacques y Cia and from c.1970 onwards by Pasatiempos Gallo S.A. The designs have remained virtually unchanged since the first edition. 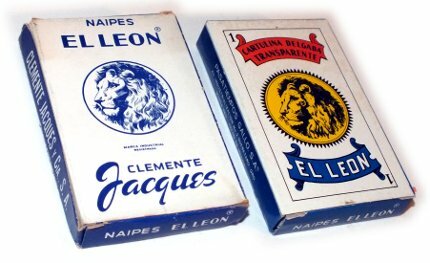 Above: 'El León' playing cards made in Mexico by Clemente Jacques y Cia. 40 cards, c.1950. 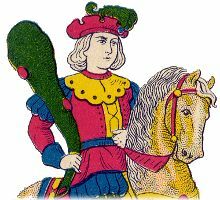 The manufacturer's name can be read on the Four of Coins and the Jacks of Swords and Cups. The address is given on the box as: F.C. de Cintura No.1, Mexico 1, D.F. In 1970 the former Clemente Jacques y Cia became Pasatiempos Gallo, S.A., based in Querétaro, Mexico. 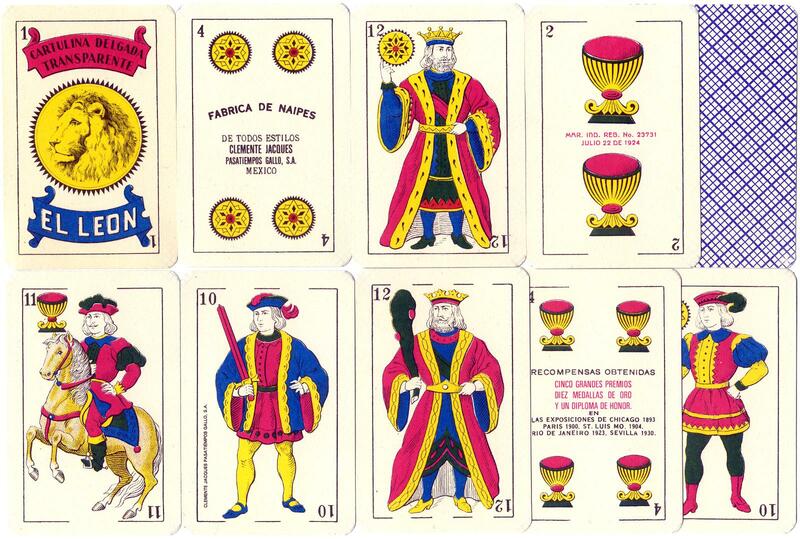 Above: 'El Leon' Catalan-style, Spanish-suited playing cards made in Mexico by Pasatiempos Gallo S.A. 40 cards, c.1975. The manufacturer's name can be read on the Four of Coins and the Jacks of Swords and Cups. The address is given on the box as: Av. Industrialización No.3, Querétaro, Mexico.